When it comes to hitting devices to train with, the first one you should get is a simple batting tee. I don't have a brand to recommend, there are plenty at any good sporting goods store. It's put a good swing on a stationary ball until the muscle memory is implanted into the subconscious so that you can bring that swing to your game. 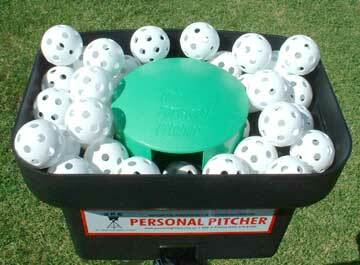 To see my opinions about the personal pitcher, go here. You may want more than hitting devices so check out these hitting training videos.